The market is segmented by Product and by End User. The UK home decor market is growing at a faster rate than other home retail markets, as customers opt for affordable options to give their homes a new look. As home decor is more resilient than other UK homeware markets after Brexit, it is imperative for retailers to ensure that investment is directed to growing and improving trend-led and seasonal collections, as well as improving in store marketing and better showcasing products online. Decorative accessories may drive the market ranges through their trend-led, cost-efficient options for updating the look of a home. The new luxury is all about having unique experiences, gaining new skills, being eco-friendly and showing connectivity. Customers want products that add to their knowledge and sense of identity, as well as products that give meaning and significance to their experiences. 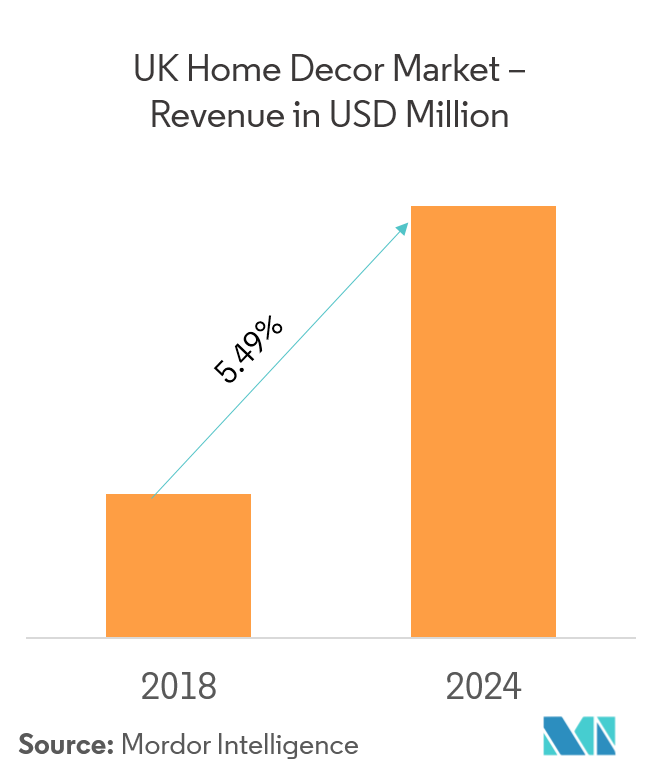 A complete background analysis of the UK Home Decor Market, which including an assessment of the parental market, emerging trends by segments and regional markets, Significant changes in market dynamics and market overview, is covered in the report. Household consumption expenditure is the market value of all goods and services, including durable products purchased by households. It excludes purchases of dwellings but includes imputed rent for owner-occupied dwellings. In 2011, UK households purchased approximately GBP 5 billion worth of household textiles. 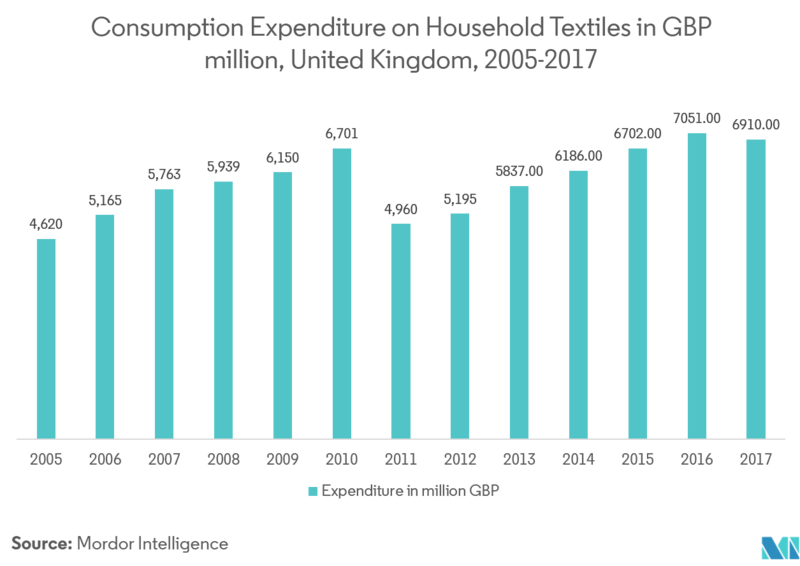 Consumption has increased since, reaching GBP 6.9 billion in 2017. 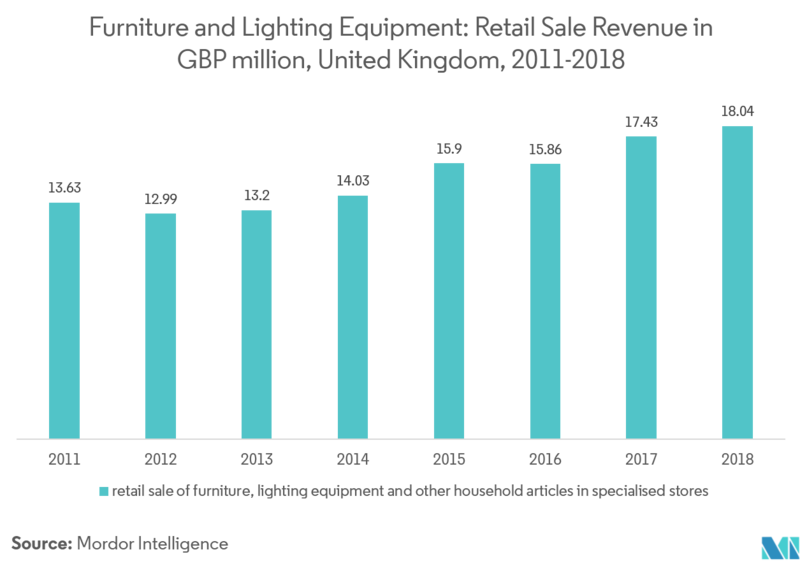 The revenue of retail sale of furniture, lighting equipment and other household articles in specialised stores in the United Kingdom was GBP 13.63 million in 2011 and it is increased to GBP 18.04 billion in 2017. The report covers major international players operating in the UK Home Decor Market. 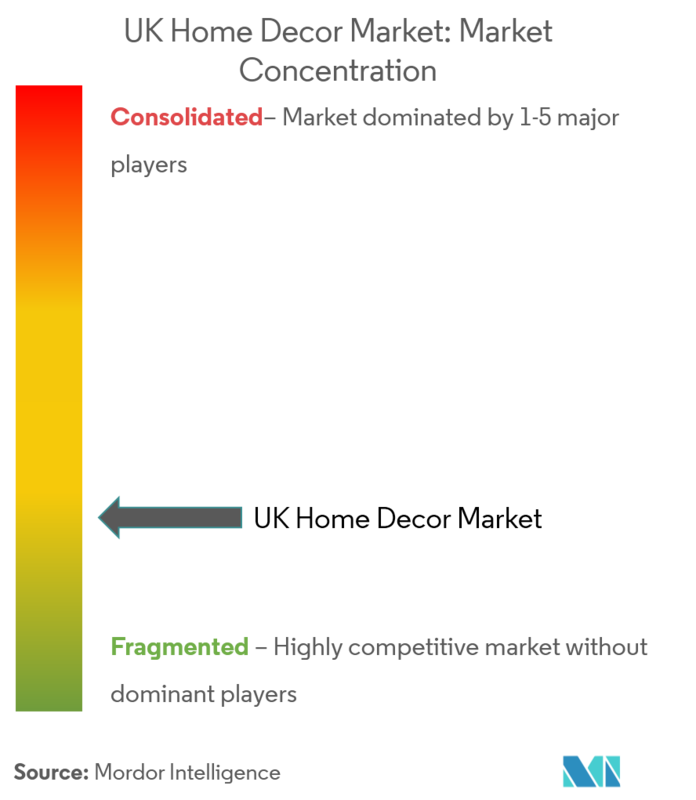 In terms of market share, few major players currently dominate the market. However, with technological advancements and product innovation, mid-size to smaller companies are increasing their market presence by securing new contracts and by tapping new markets.